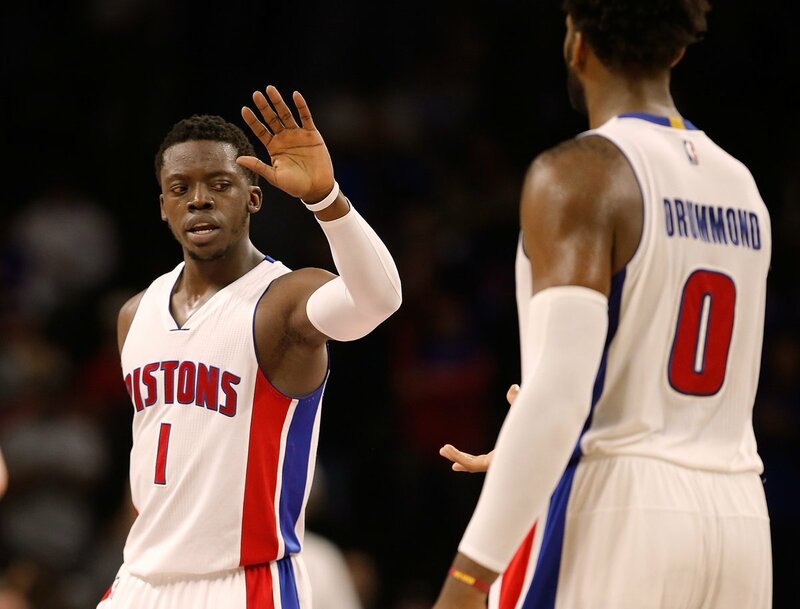 Detroit Pistons made it back-to-back wins to start the NBA season as they were too much for the Utah Jazz in Michigan. The Pistons lead 16-15 after one, but their offense was looking sluggish coming off of a win in Atlanta a just a night before. Drummond was leading the way with 6 after one. The Jazz went on a 7-0 run in the second to eventually take a three point lead at the half. Burks and Favors played the best in the second for Utah. An 8-2 run helped Detroit take the lead and control it for the entire game. KCP was constantly keeping his teammates aware of what they needed to do in the position they were in. The Jazz went on a 7-0 run late in the fourth to take a one point lead with 26 seconds left, Reggie Jackson drove it in and laid it up to take the lead with 17 seconds left. Burks then missed a jumper and KCP made it a three point game with two free throws. KCP then came up big when he blocked a attempted three pointer to tie the game. My biggest takeaway from the Pistons second win is that even though their offense was sluggish and slow, they balanced themselves to play good defense and not be lazy on that side of the ball. They were getting stops when they needed to and I think Van Gundy is doing a tremendous job getting them prepared to work hard on defense and improve that in all of their games. The Jazz couldn't take advantage on how slow the Pistons started in this game, they need to work on chemistry because it isn't there yet. Stats: Jackson 19 PTS, Drummond 10 REB, Blake 7 AST. Favors 26 PTS, Gobert 12 REB, Hood 6 AST.